I had an idea about giving people compliments. When I notice something really outstanding about a person's appearance, I hesitate before saying something, because I know it will look as though I'm after something. 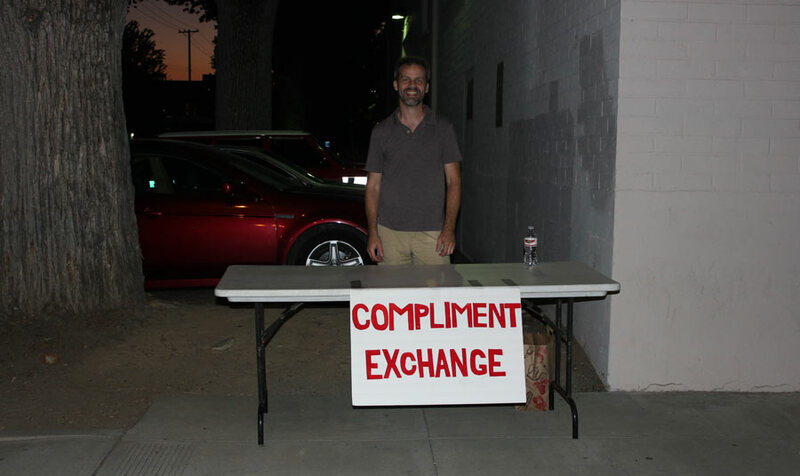 My first idea was to set up a booth selling compliments for 25¢. 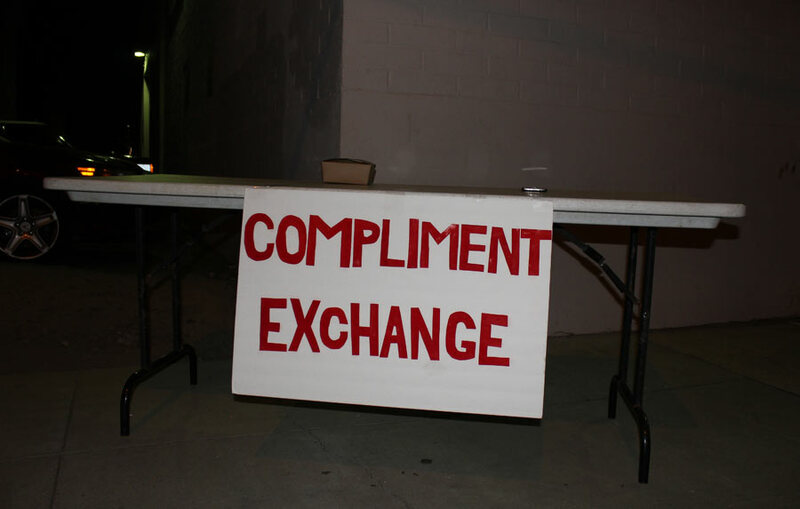 Before I could set it up, I had a better idea, the Compliment Exchange! 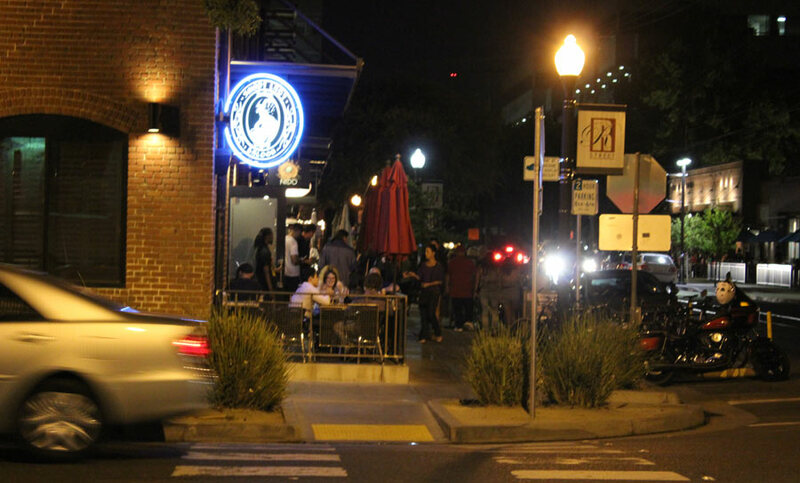 I made a bold sign, taped it to a folding table and posted myself up on a busy-ish street in downtown Sacramento. R Street is the latest street to experience a remodel, and I was just across the street from the legendary Shady Lady saloon. It was Saturday night, so I was sure to get a ton of foot traffic. 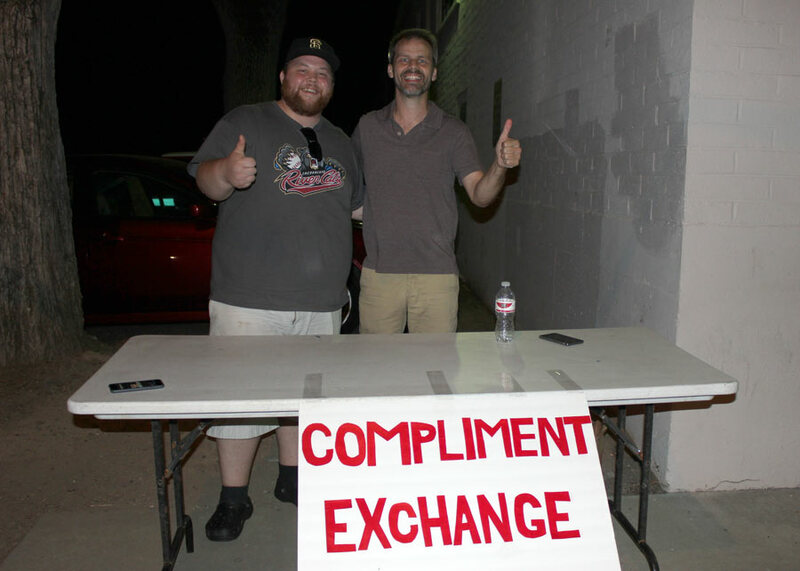 The Compliment Exchange was open for business! I compliment something about you, and you return a compliment to me. Or, you could start with the compliment and I will return one. I set up the table at 8:15pm. The sun was just going down, and the streets were full of people. I was immediately swimming in compliments! I like the salt and pepper in your hair! You have a radant smile! Complimenting a stocky man, I said, "You look like a boss! ", to which he replied, "You look like the bosses assistant!" I like your sign! Very bold and legible! "Hey! Would you like to exhange compliments?" "We need to get going actually." You must be a really nice person! On my part, I prepared compliments for the evening, and was getting pretty good at giving them out! Of course, without knowing someone, you are pretty much stuck complimenting them on their appearance. You look like a dancer. 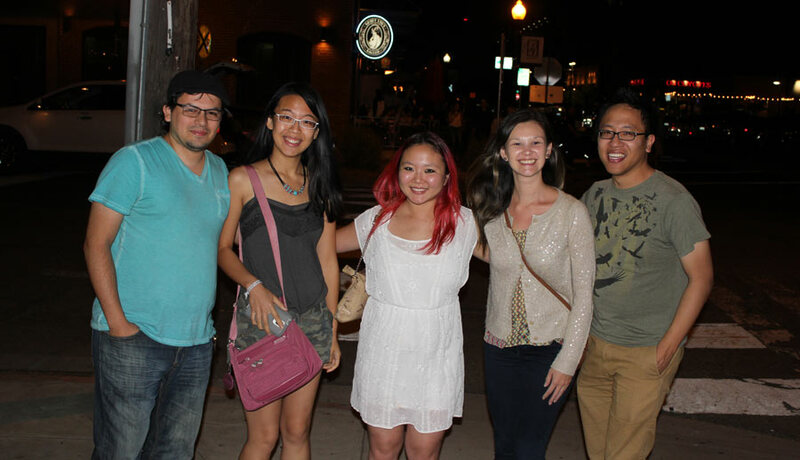 The people I met were mostly dressed up and out on the town, so they looked pretty good! Compliments came easily. 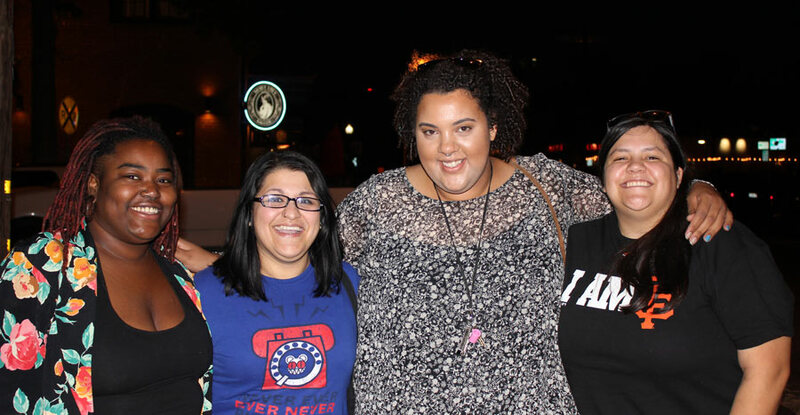 At one point, an immensely beautiful woman came by with a group, and I was struck dumb. "You look... you... your face is.. sharp? That's not it.... uh.... I'm trying to remember the... I'm sorry." I was grasping to remember the word "Striking", but she was long gone by the time I regained my composure. You look like you could be on the Disney Channel. You have the ideal hair. 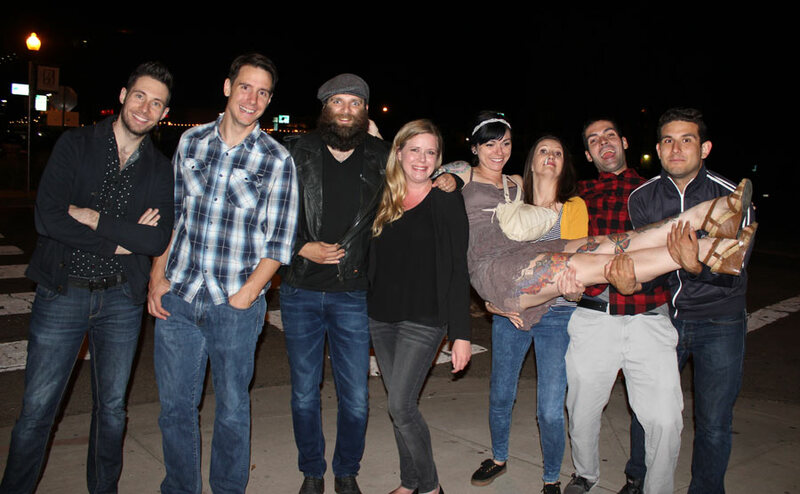 A few people took photos and posed with me. I got pretty bold with my compliments, telling a few women "you have the ideal figure for a woman" and by telling a man "you look like boyfriend material". One gal wanted to operate the exchange for herself. My favorite moment of the night occurred when two groups converged upon the Exchange at the same time. After exchanging compliments with me, members of each group took the opportunity to compliment each other! It was a Compliment Exchange Zone! The only rough patch occurred when a patron got a compliment that she felt wasn't as good as the compliment I had given to her friend. In particular the compliment "You look athletic" was crowned the most desirable compliment for women. "You exude moxie", and "You look like a Disney Princess" were removed from my rotation. You look like you have a good heart. From a young man who didn't buy in, "You look great bro, you look great." I think you are f****** hot! You have the "it" factor. I had the time of my life. I learned some great new compliments, and brought some joy to the streets. I'm definitely doing this again! Look for me at a farmer's market near you!